Summertime was meant for fun, and our Plano summer camps combine fun activities, fantastic field trips to the best spots around the Metroplex, and educational experiences that make June, July and August your child’s brightest months! 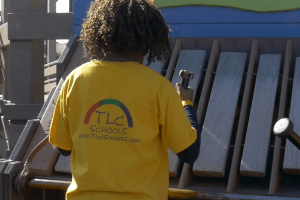 Your child will have an incredible summer with TLC. The same commitment to giving your child their best start is just as evident in our summer camps. This program includes arts and crafts; indoor and outdoor games and activities; fascinating and fun field trips to local attractions; and active play and learning all summer long! Under the supervision of our highly acclaimed caregivers and educators, your children will make memories they’ll take with them for the rest of their lives while building friendships. It’s no wonder that Living Magazine voted TLC Schools as having the best Plano summer camps. Our Plano summer camps do not leave education behind, either! Summers are full of enriched learning experiences for your child. We plan activities and lessons that not only solidify and improve your child’s fundamentals, but enrich your child’s overall learning experience by getting them excited about learning.